In his month as President, Donald J. Trump has been portrayed by his many detractors as either an authoritarian with no respect for the rule of law surrounding himself with yes-men, paid crowds, and a cabal of wealthy, amoral cronies intent on bringing down democracy as we understand it—or as a child-like incompetent, metaphorically and literally stumbling in the dark, sickeningly ignorant of the expectations of his station. A new meme has seized upon the latter interpretation. 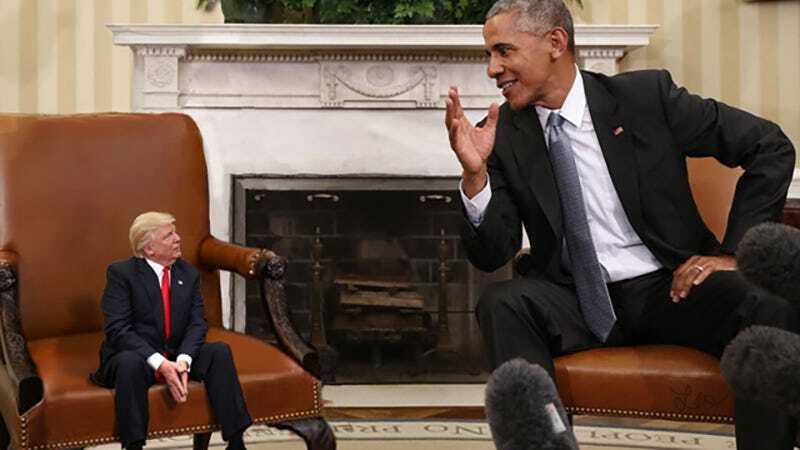 Behold: Tiny Trump. It’s been well documented that Trump feels strongly about his public perception, often using Twitter to pitch tempter tantrums against the “failing” New York Times (which added 276,000 subscribers last quarter) or decrying Saturday Night Live’s caricature of him as “a complete hit job.” Clearly, and in spite of being a national embarrassment, the man wants to be loved. And scaled down to the size of an infant, admittedly, there is something adorable about our Dear Leader. Approximately 14 hours ago, redditors created a new community—r/TinyTrumps—to post these photoshops. And as of this morning TinyTrumps already boasts over 10,000 subscribers. All the more impressive because unlike caption jokes or Pepe edits, these memes require a pretty advanced knowledge of photo editing to work. Vicious attacks on the press, attempts to dismantle crucial government agencies, irate phone calls to world leaders, detainment of immigrants and—most recently—reportedly considering mobilizing the National Guard to round up undocumented immigrants, are all just a little bit easier to digest when imagining them carried out by a two-foot tall version of our oldest, big-boy President. 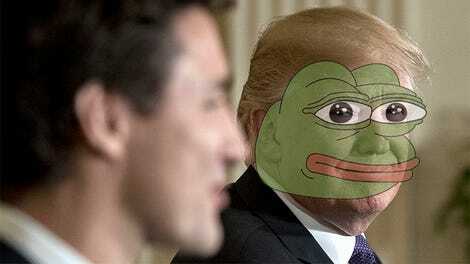 Is Donald Trump Becoming Pepe The Frog?